Tatsuo Yoshida a self taught artist growing up in post-war Japan would become a legendary figure in the anime industry when he founded Tatsunoko Productions Company with his brother Kenji. His career was cut tragically short when he died if Liver Cancer on September 5, 1977. 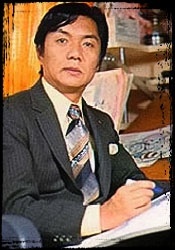 A Pioneer member and founder of a great dormant power-house anime corp along with his Kyoudai.